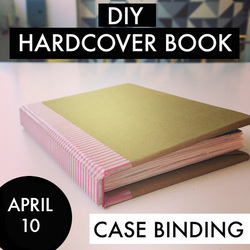 Learn bookbinding basics, how to make you own book cloth, and lots more at this Saturday afternoon intensive at Brooklyn Craft Company. Advanced registration required. Join the Brooklyn Craft Company crew for some DIY fun at the BUST CRAFTACULAR! Learn basic bookbinding techniques and make your own leather journal! Join us on 8/17 for an awesome afternoon of DIY shoe design! We'll walk you through several different design techniques, and whether you follow our leads or tackle your own concept, you'll go home with one pair of amazing, colorful, customized DIY shoes! Each person will receive one pair of white canvas shoes and unlimited use of all the dyes, paints, stencils and brushes that you can imagine! 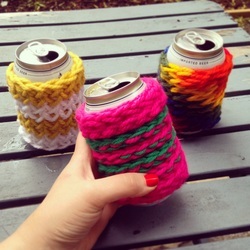 ﻿﻿﻿﻿﻿How to Finger-Knit a Beer Koozie! No needles necessary here-- just two hands! Finger knitting is quick and easy. In this class we will teach casting on, the basic finger knitting stitch, adding rows, and casting off. 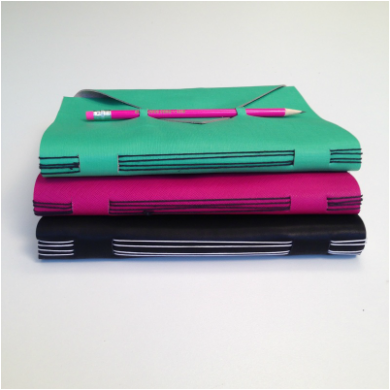 You will walk out of class with one lovely koozie and the skills needed to make much more on your own-- even a scarf or hat!